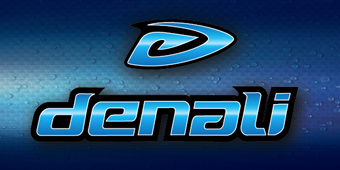 Looking for gifts for the angler on your list? 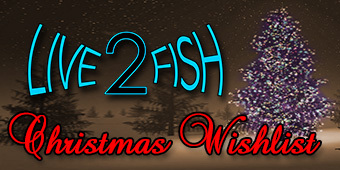 Here is what Live 2 Fish contributor Bill Bolland wants for Christmas. -a classic length and power flippin’ stick, built on the Dobyns Champion Extreme blank. A flippers dream come true. -I know I need to throw more jerkbaits for musky. Having this 6’9 XH rod sure would make the task of heaving 4oz plus baits more appealing. -Yes, I do already have one of these. This being the only reel I will use for musky fishing, however, I’d like a few more. The speed, power, and ergonomics can’t be beat. -9:1 gears? 37″ of line per crank? You gotta be freakin’ kidding. I have to try it. 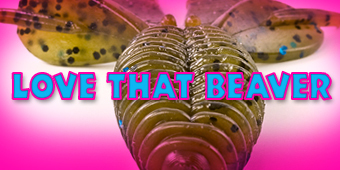 -I love crankbaits of every variety. Storms latest development has two great sizes and an awesome colour selection. Chunk and wind baby!! -Often imitated, but never duplicated. Hands down, these are the best heavy jigs ever. Hand-made on a 5/0 siwash salmon hook, no bass out muscles this jig. -Bank beaters like me don’t like fighting the wind. I know I’m gonna have to get one of these eventually.